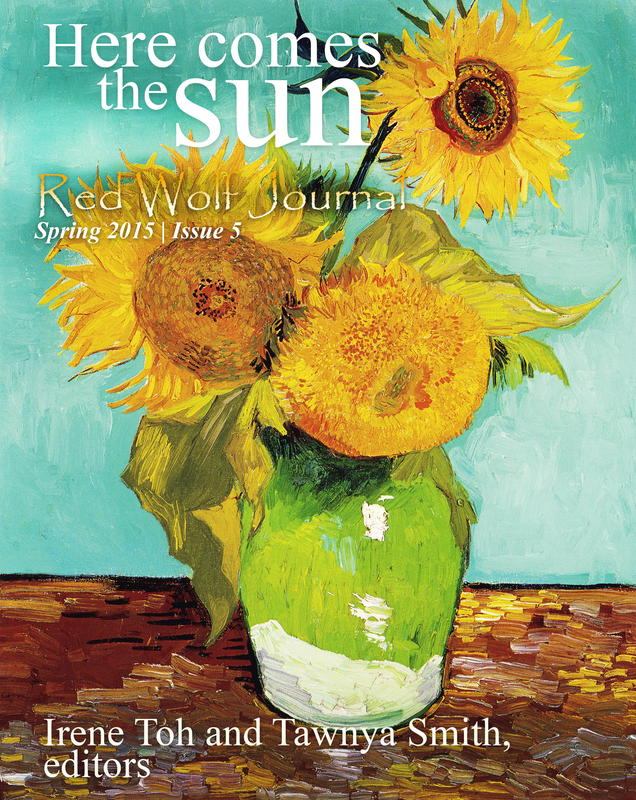 Today, the final day of NaPoWriMo 2014, is also the day when the PDF version of the Red Wolf Journal Spring 2014 Issue 1 is officially released. You can also download a copy by going to the tab, “Red Wolf Issues”. I did promise there would be a PDF copy in case you’ve all forgotten. 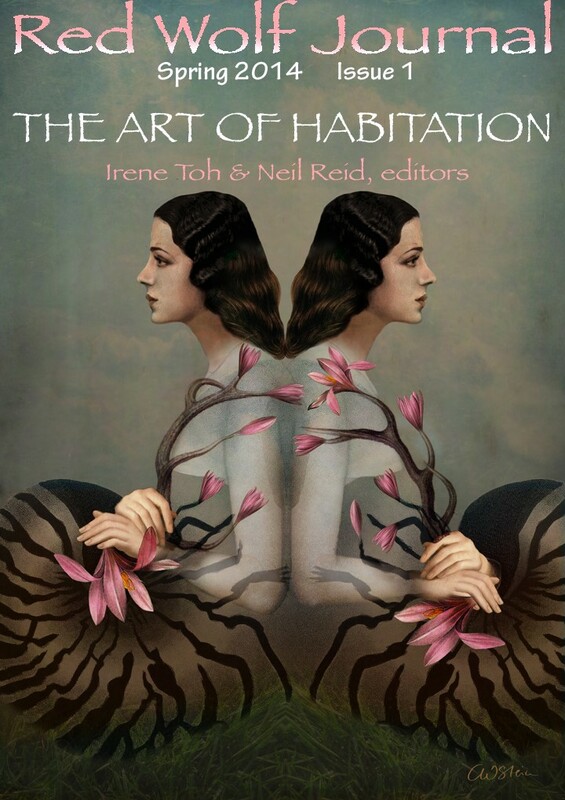 The poems have all been posted as blog posts on this site from February to March 2014. There are 64 poems in all, many of which I’ve had to beg, steal and borrow. Thank you to all of you who’ve responded to my call. You know who you are. I’m sorry that we can’t let all the poems in. If yours didn’t make it, do not let this minor setback stop you from submitting again. There’s the Rivers theme in the Summer 2014 Issue 2 you might want to think about now that the frenzy of writing a poem a day is over. The closing date is 18 May 2014. 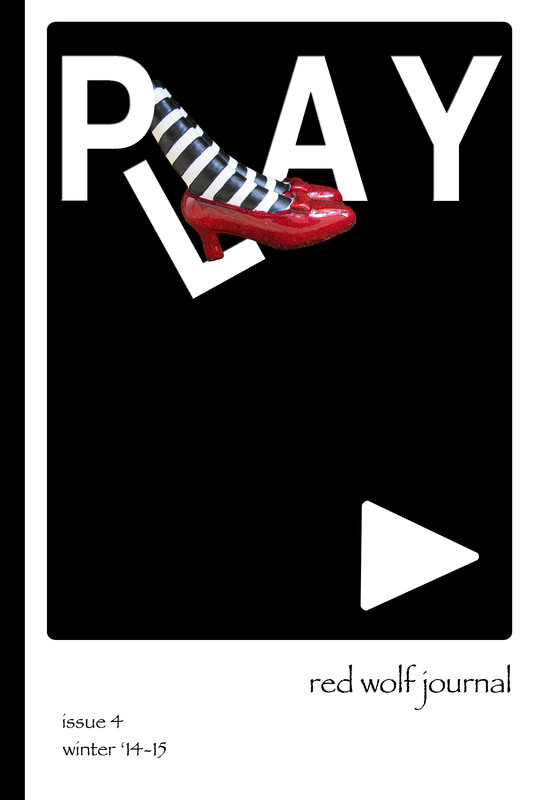 And I’ve had a sneak peek into the theme of the Fall 2014 Issue 3. I’m not telling. I’ll leave that to my wonderful editors. In case you’re the sort who takes writing as a constant practice, we have a new sister prompt site over at Red Wolf Poems. We hope to see you there. I hope May turns out to be as wonderful. 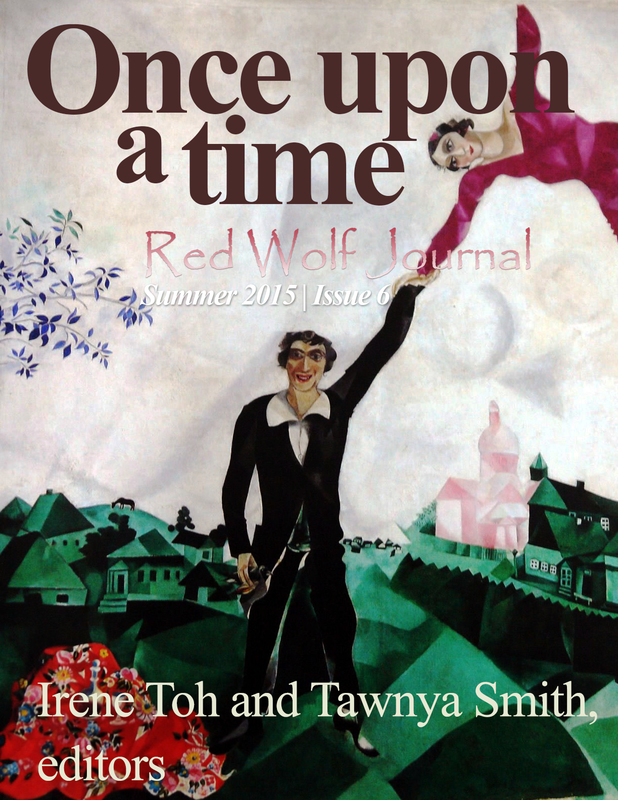 Red Wolf Journal now invites submissions for Issue 2 (Summer 2014). Water, especially rivers, has been rooted in the human consciousness perhaps since the beginning of our existence as a species. Rivers are natural borders and boundaries, and by crossing them one transitions from one world into another. Consider the world’s myths and religious stories: the four rivers in the Garden of Eden, Jesus’ baptism in the Jordan, the Ganges as a vehicle of ascent to heaven, the Styx as a boundary between Earth and the Underworld. There are also transitions of state, such as slaves crossing the Ohio River into freedom. Rivers are also arteries, the lifelines of communities, which bring goods and people. Rivers can carry us, and we watch the landscape, people, and even the weather changes as we flow with them. Those same rivers are destructive forces, erasing entire homes, even communities, as they rage past. Rivers are metaphors of time, sequence, and change. Rivers can begin with a lake, or a rivulet of melted snow — so all things have a beginning. Rivers flow one direction, have an origin point, and flow in one direction until they empty…somewhere. As Michael Stipe put it, “The ocean is the river’s goal”. Rivers branch out into little tributaries and watersheds, symbolic of endless possibilities and choices. Rivers are represented in changes in time and season, in color, smell and sound. We approach spring and the newness of life by testing the temperature of the water and finding unexpected blossoms near its banks. Rivers nourish and refresh us in the summer heat. Before we put on the fall clothing, we watch the river wear the autumn leaves. In its winter-white ice, it is most quiet and most deadly. Rivers can signify the continuance of life itself, both in the physical and the spiritual sense. Consider the Buddhist idea of the mindstream — the continual stream of our awareness (or personality, depending on which school you consult). Consider humanity itself as a river: through our connections to others, we are part of a constant flow of ideas, emotions, and even love which came from somewhere up the stream, flows through us, and onto the next person. Each family and its generations can be thought of as a river, with a genesis, tributaries, and perhaps an eventual end. Even human language itself can be thought of as a river — our words have roots further upstream in time and change as the river of language flows onward. We invite you to submit for our theme, “The River: Within Us and Without Us”. Poems may speak to anything we’ve said and certainly things we haven’t yet said. As your soul is “as deep as the rivers”, as Langston Hughes put it, we want to read about it in a way that we’ve never seen before. Show us how the river which draws your soul travels. SUBMISSION DEADLINE IS MAY 18, 2014. Please review the submission guidelines and then send us your poems via email to: redwolfjournal AT gmail DOT com. 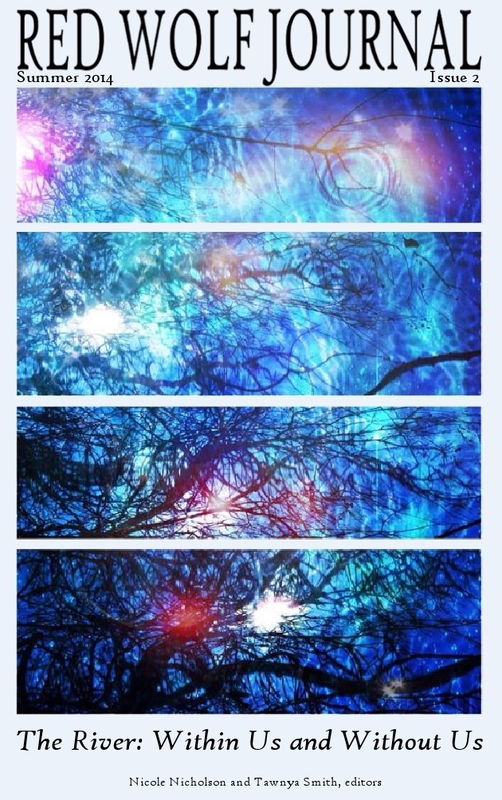 Issue 2’s poems will publish all at once, in early June. We look forward to seeing your river poems. Red Wolf Journal is a periodic publication of Red Wolf Poems (formerly known as We Write Poems). I can’t tie him down. in a stinking amber flood. long before the Paris bathtub. and you killed the man, too. the red drum inside my chest. I wrote this over a two-day period. It began as kind of a snarky, messy thing but I spun part of it off into this poem while the other portion will become another poem, eventually. It’s an epistle to Jim Morrison, who I suspect was also neurodivergent–specifically, I think he either was bipolar, or the more likely scenario, had ADHD. In private conversations with others, I’ve compared my battle with impulse control to trying to restrain a wild monkey. I’ve also woken up in the middle of the night with a mind that will NOT quiet–I nickname this tendency “monkey mind”. Morrison was an intensively creative mind, impulsive, and a risk-taker–but he paid a heavy price. I know some folks will call me out for trying to diagnose a dead man, but I consider this poem an act of echolocation and reflection. So, I invite the reader to read, and consider.